How do we perceive Elizabeth Siddal? 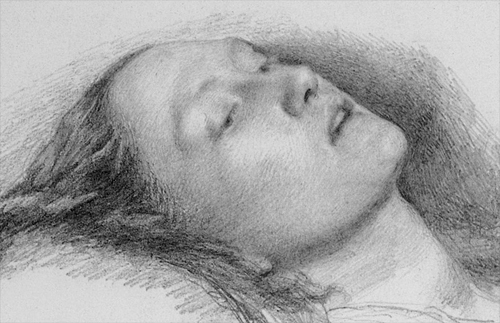 For those of us who admire Pre-Raphaelite art, Elizabeth Siddal is a familiar face. Her story is repeated often and frequently embellished. 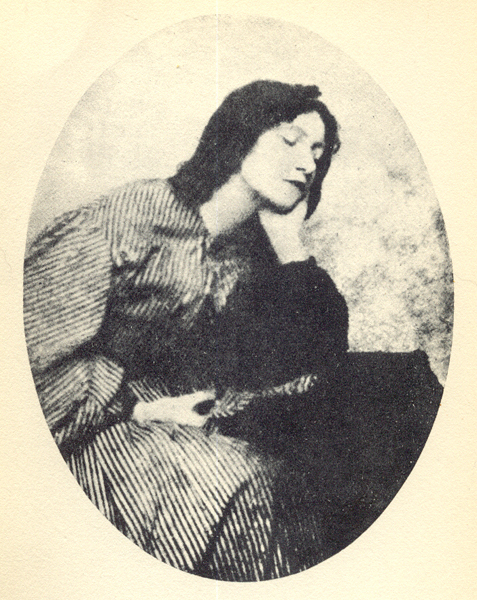 When beginning to research the life of Elizabeth Siddal, readers will invariably encounter this description of her, written by poet William Allingham in his diary: “Short, sad, and strange her life; it must have seemed to her like a troubled dream.” It’s a heartbreaking and poignant epitaph that contributes to our perception of Siddal as a dreamlike waif, flitting through a troubled life– a life filtered through a laudanum haze. It is important to remember, though, that Allingham’s statement describes her life only in hindsight. Is it a fair and accurate assessment? Or is it influenced by the tragic mode of her death? When we think of Elizabeth Siddal, how much do we know about the real flesh-and-blood woman and how much are we influenced by mythologized accounts of her life? 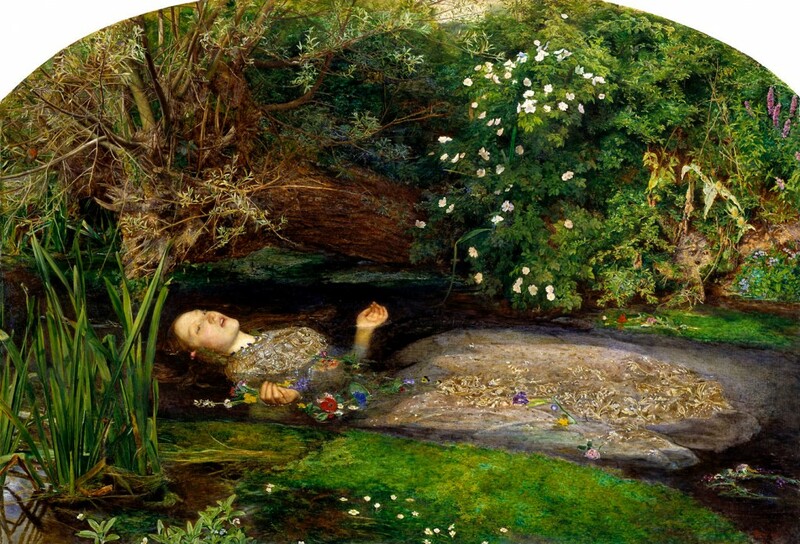 Many see her as an Ophelia figure due to the story of how she fell ill while posing for Sir John Everett Millais’ painting. While it is a famous anecdote now, it was not a widespread story at the time. I can find no prior written accounts of it published before Millais’ death.The tale seems to have originated with artist Arthur Hughes, who provided his account in The Life and Letters of Sir John Everett Millais (transcription here). This means that while the story is definitely true, it was probably not known outside the Pre-Raphaelite circle within Lizzie’s lifetime. In addition to the Ophelia mystique, a lot of focus on Siddal has nothing to do with her life at all, but the effect her death had on Rossetti. He was said to be haunted by her and attempted to communicate with her through seances. 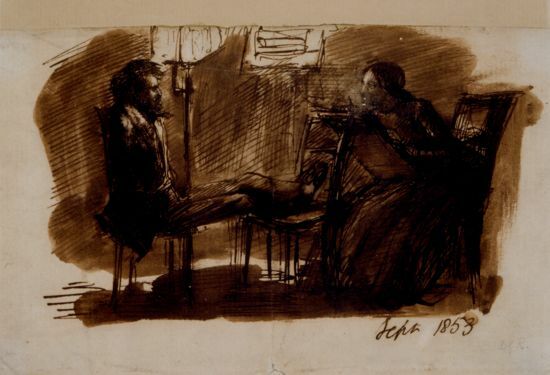 Much has been written about his mental struggles in his later years and often they are partly assumed to stem from Siddal’s death and exhumation. These are things that contribute to the perception of Lizzie as a Victorian ghost story instead of a woman that once lived, laughed, and loved. In her lifetime, Siddal may have made the transition from model to artist but in death, she was transfigured into an amalgamation of Ophelia and The Blessed Damozel. The genuine Elizabeth Siddal is a figure we may never know. She is overshadowed by the overdose, the exhumation, and the myth that her hair continued to grow after death. 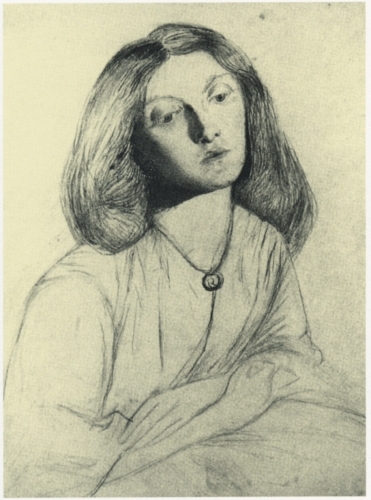 Apart from perfunctory newspaper mentions at the time of her death, the first serious accounts of Elizabeth Siddal began to appear after the death of Dante Gabriel Rossetti. These early depictions of her were written from a male perspective, mainly William Michael Rossetti, Hall Caine, and Theodore Watts-Dunton. When we consider their words about her, we have to consider their intentions. 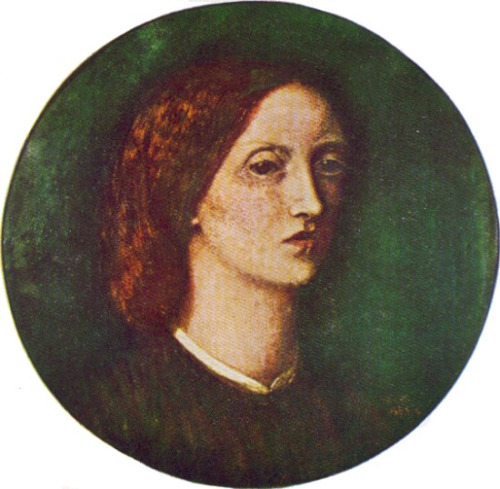 Writing about Rossetti’s life was their true aim and for them, Elizabeth Siddal existed only as Dante Gabriel Rossetti’s love interest. When William Michael Rossetti wrote about her, he completely ignored the fact that during a romantic split from his brother, she attended an art school in Sheffield, an act that demonstrates that she attempted to pursue art independent of DGR. It seems that WMR was unaware of this fact and that he had no knowledge about any occurrences in her life apart from her interactions with Rossetti. 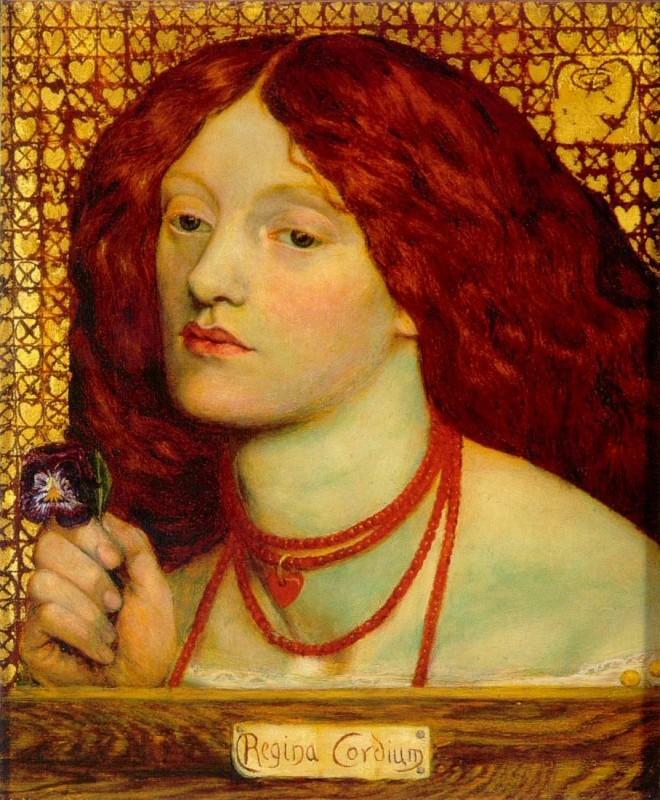 When Joseph Knight wrote of her death in his 1887 biography Life of Dante Gabriel Rossetti, he stated that “Regina Cordium had passed forever from his life.” It’s a creative way to write about her, but it makes her seem more of a prop than a person. Theodore Watts-Dunton mentions Siddal, almost in passing, with a cursory description of their marriage. Rossetti, however, is described in an extremely dramatic fashion when Watts-Dunton says that on Siddal’s death Rossetti “for a time ceased to write or take any interest in his own poetry . Like Proserpero indeed he literally buried his wand…” Likening Rossetti to Prospero, Watts-Dunton glosses over the inclusion of DGR’s poetry in Siddal’s coffin and shifts the focus from the deceased woman to the husband left behind. I certainly don’t intend to lay the blame of the mythologized versions of Siddal solely at the feet of people like William Michael Rossetti or Theodore Watts-Dunton. It is almost impossible not to romanticize her. The memory of poet Sylvia Plath endures a similar fascination (coincidentally, Plath committed suicide in 1963 on the anniversary of Siddal’s death). 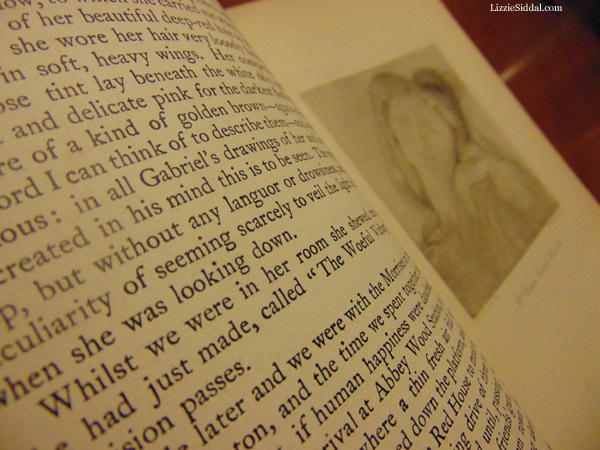 Nor do I judge anyone who relishes stories of Lizzie Siddal in a bathtub or her tresses filling her coffin. These things are unavoidable and firmly embedded in Pre-Raphaelite lore. It cannot escape our notice that there are not very many opportunities to balance these dramatic anecdotes with Siddal’s own account of her life. Since very few of her letters survived, it is not through her own voice that we hear her story. This leaves us with gaping holes where a life should be. So we can not help but continue to see her only in relation to Rossetti because without him, we would know nothing of her. We can attempt to fill these holes, as many do, by reading her own poetry as autobiographical. Is this fair, though? A great deal of Victorian poetry is just as melancholy yet we are often able to separate the poet from their subject. 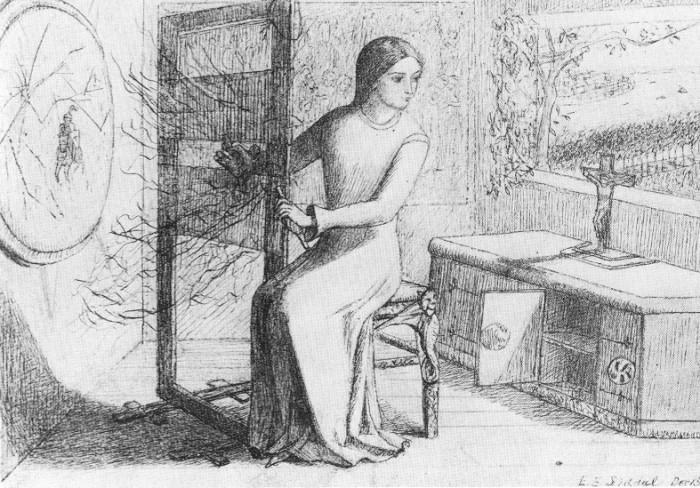 Among the male accounts of Elizabeth Siddal, the lone voice of Georgiana Burne-Jones shines through. The wife of artist Sir Edward Coley Burne-Jones, Georgiana wrote about Siddal several times in The Memorials of Edward Burne-Jones. 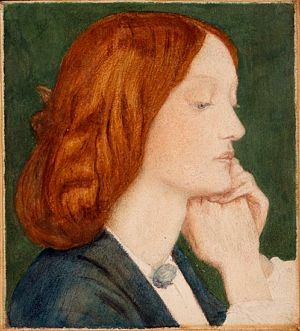 Here Siddal is remembered fondly and discussed not as Rossetti’s lofty muse, but as a dear friend that was greatly missed. I certainly wish more letters such as this had survived. The few that still exist give us a glimpse of an Elizabeth Siddal that is so much more than an Ophelia trope. I will end this post with two of Lizzie’s letters to Rossetti. The first is a portion of a letter written while she was traveling in Nice. In the second, she writes about her summer holiday in Clevedon, where donkey rides were an attraction. Note that she writes in satire and makes fun of the boy’s speech. Reading this, it is easy to picture the boy and his enthusiasm. donkeys without beating, which consisted of holding a grass within an inch of their noses, and inducing them to follow it. Being asked whether that would not be the crueler plan of the two, he said he had noticed that donkeys would always eat even when they were full, so he had only to fill the donkey first. All that could be got in an explanation of why he thought Lizzie some outlandish native was that he was sure that she comed very far, much farther than he could see.